While rising bond yields are consistent with a strengthening economic recovery, they also prompt the concern among businesses and investors that higher interest expenses could become a drag on continued expansion. We take a relatively positive view of the possibility of rising rates, which are also a symptom of better prospects for economic growth. Indeed, longer-term real interest rates — as measured by the difference between bond yields and inflation — have been moving higher for almost two years. In recent months, long-term real rates even moved from negative levels to positive territory, yet economic growth and employment gains have remained steady. While a slow pace of rate increases would not alarm us, we nevertheless see real risks ahead for the Fed as it grapples with communication challenges. The Fed is employing forward guidance in an attempt to smoothly exit its extraordinary policy initiatives, which include a mix of bond purchases and holding short-term rates near 0%. Investors may come to doubt the Fed’s forward guidance given the central bank’s spotty record in economic forecasting. 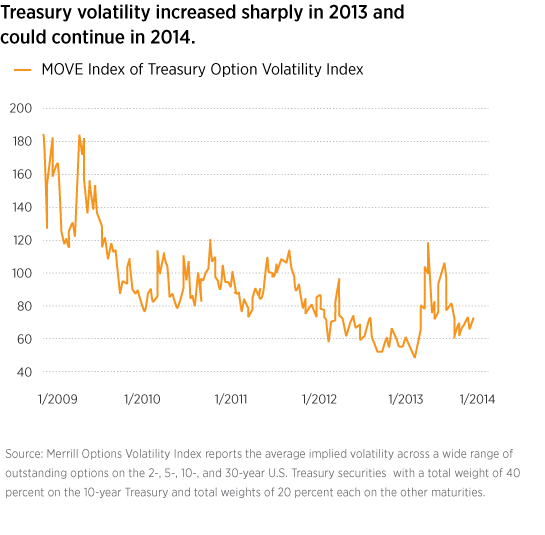 These doubts could contribute to rate volatility across the yield curve. The Fed also owns over $4 trillion in fixed-income securities, and how its policy goals influence its actions with this portfolio has major consequences for the market. Investors should be prepared to navigate more interest-rate volatility as the Fed seeks to chart a difficult course ahead. 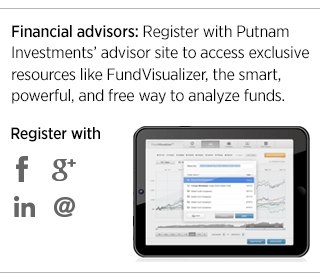 Read more in Putnam Capital Markets Outlook.